Poor dental health is an epidemic among cats. Can the best cat dental treats help? An estimated 85% of cats over age 6 have some form of periodontal disease – a condition occurring when tartar builds up on your cat’s teeth, causing gum inflammation and a string of other conditions. If your cat’s mouth isn’t healthy, that sickness will eventually spread to other parts of the body, meaning that dental health affects more than your cat’s teeth and gums. As periodontal disease progresses, toxins spread from the mouth and into the bloodstream and organs, causing organ failure and other health issues. Both periodontal disease – a condition many cat guardians tend to shrug off – and organ disease – a terrifying diagnosis – are unconscionably prevalent among our cats. Is it a stretch of the imagination to think that the widespread adoption of preventative feline dental health care could put a dent in the kidney disease problems most senior cats experience? 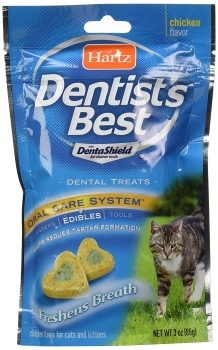 Cat dental treats are one of the most popular forms of preventative dental health care available. In contrast to the challenge of daily brushing, cat dental treats promise a fun, painless way to keep your cat’s mouth healthy. But do cat dental treats really work? Sometimes. Only if you choose the right ones. The majority of the cat dental treats on the market are inspired by an old-school veterinary myth about dry kibble. During the 20th century, we were told that dry kibble was good for your cat’s teeth, leaving less residue than canned food and lightly abrading plaque. This myth has been thoroughly debunked, revealing that dry food has little or no ability to clean cat teeth. Most cat dental treats are nothing more than glorified dry kibble. 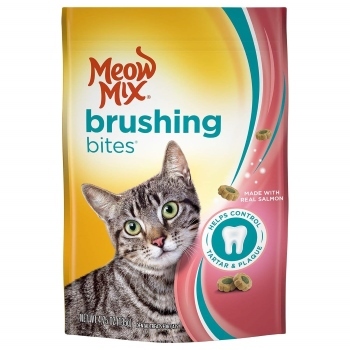 According to the marketing, these treats lightly abrade your cat’s teeth, scrubbing off plaque and surface bacteria. Problematically, cats don’t really chew their food. Their teeth seldom spend enough time touching the rough food to get any abrasive effect. If your cat has ever vomited after eating dry food, you’ve probably seen graphic evidence of this fact. Cats essentially swallow their treats whole. Remember that glorified kibble equals a crunchy nugget of carbohydrates. While dry cat food is often touted as a low-residue alternative to wet cat food, the inherent carbohydrate content of these foods makes that claim questionable. Dry food and treats leave a carbohydrate residue on your cat’s teeth, leading to bacterial buildup and, eventually, plaque and tartar. Some cat dental treats, however, have dental health potential. While glorified mint-scented kibble can’t do anything to help your cat’s teeth, some specially-formulated treats can help to encourage good dental health. The best cat dental treats are low in residue-building carbohydrates and contain enzymes that can consume the bacteria remaining in your cat’s mouth, reducing the likelihood of plaque and eventual tartar buildup. Sounds complicated. What about DIY cat dental treats? Can you make homemade cat dental treats? Indeed, there is a simpler alternative to those treats marketed for dental health. Raw meaty bones are an ideal treat for your cat’s dental health. Unlike any packaged cat food, raw meaty bones force your cat to use their jaws as nature intended. When eating raw meaty bones, your cat uses their jaws to gnaw and tear, digging their teeth into muscle tissue and breaking through raw bone. This gnawing action strengthens their jaws and cleans their teeth. Because fresh raw meat doesn’t have any carbohydrate content, it’s low-residue and will contribute minimally to the population of bad bacteria in your cat’s mouth. Remember that only raw bones are safe for your cat. While raw bones are flexible, cooked bones are prone to splintering and shattering, making them extremely dangerous for your cat to eat. Choose small bones that tone your cat’s jaws without overwhelming them. Cat-appropriate bones include chicken necks and wings. To help you to understand and make choices about the treats currently on the market, we’ve reviewed 6 popular cat dental treats. In contrast to the average dental health treat packed with high-carbohydrate ingredients and marketed on a false premise of abrasion and residue reduction, these treats are primarily made from freeze-dried meat or fish. This meat is combined with enzymes that can help to freshen your cat’s breath and consume bacteria. Out of the five products reviewed here, this is the only one I’d recommend for those trying to improve or ensure their cat’s continued dental health. They’re virtually carbohydrate-free, meaning that they’re truly a low-residue treat and good for all cats, including diabetic ones. 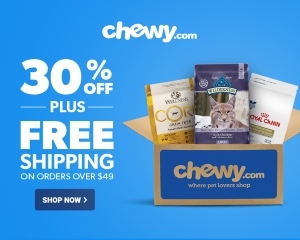 And unlike other treats that your cat will swallow without chewing, these treats are the size of wine corks, forcing your cat to dig their carnivore teeth into each treat as they eat them, exposing their dental surfaces to the active ingredients. In addition to teeth-cleaning power, these treats are palatable. They contain animal digest, which is a source of the concentrated meaty flavor that cats love. These are probably the first treats you think of when you hear the words “cat dental treats”. 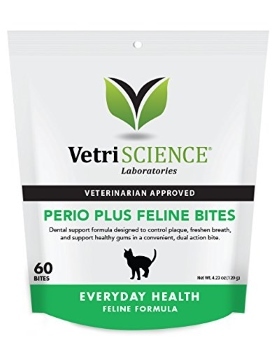 While their packaging claims that these are the #1 vet-recommended dental cat treat, that the Veterinary Oral Health Council has confirmed that they can help control tartar, and that they’re “powerfully good”, these treats probably aren’t a good choice for your cat’s dental health or overall wellbeing. These treats lean almost entirely on the “crunchy equals clean” premise. They’re small kibble treats that your cat might crunch and might inhale – it’s impossible to know if any abrasive effect will take place in your cat’s mouth. Although these treats boast a slightly more feline-appropriate ingredient lineup than some of the others on this list, they’re carbohydrate-heavy, potentially worsening the bacteria population in your cat’s mouth. The chicken formula contains chicken meal, wheat, brown rice, corn gluten meal, and poultry fat as the first five ingredients. 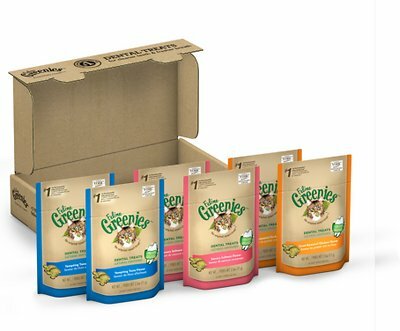 These treats contain a combination of probiotics, herbs and other ingredients that can help to improve your cat’s dental health. These ingredients include chlorophyll, zinc, and co-enzyme Q -10, which are antibacterial and anti-inflammatory. Natural zeolite is added as a deodorizer and pumice. Problematically, these treats just aren’t very fun for cats to eat. Although these treats are fortified with calcium and vitamin D to encourage healthy teeth, they have little else to offer your cat’s dental health. Made with corn flour, chicken by-product meal, corn gluten meal, animal digest, and ground wheat as the first five ingredients, these treats might taste good, but they’re not much better than old-fashioned Meow Mix kibble when it comes to your cat’s dental health. In addition to the mysterious DentaShield for tartar prevention, the treats contain parsley to freshen your cat’s breath. It’s hard to ignore the fact that these treats are made with ingredients that aren’t species-appropriate and do more harm than good for your cat’s teeth. 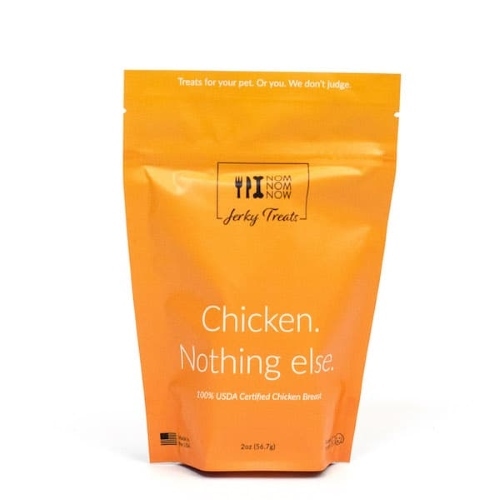 Each treat is made from corn flour, chicken meal, wheat flour, and corn gluten meal as primary ingredients. These high-carbohydrate inclusions are less than optimal for your cat’s oral ecosystem and overall health. At the end of the day, dental treats aren’t the end-all solution to dental health problems, but they can help if you choose the right ones. Not all dental treats do more good than harm, so choose carefully. The best cat dental treat is nature’s toothbrush – a raw, meaty bone. 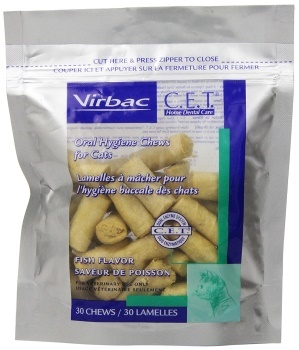 The second best choice is a chewy, enzyme-packed treat designed to support dental health, like the Virbac CET Oral Hygiene Chews reviewed above. You’d be better off giving your cat no dental treats at all than giving them kibble treats packed with corn, wheat, soy, and other high-carbohydrate, low-value ingredients. Good dental health results from a systematic approach from the inside out. Genetics, diet, and care all work in concert to determine your cat’s dental health. After you’ve chosen a nourishing low-carbohydrate diet and have established a dental hygiene regimen, dental treats can help to fight against tartar buildup. Hartz Dental treats have excellent ingredients in them and I was shocked to see they’re loaded with vitamins. Why they had to even mention Vegetable oil preserved with BHT&BHA is laughable unless it was a pure vegetable oil treat!